Shades Of Araby is the first American Tribal Style (ATS) dance troupe based in Toronto. 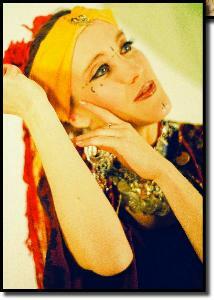 Sharing a love of the Tribal esthetic in bellydance, Maral, Sofia and Valizan united to form the troupe in early 2006. Karina joined the troupe in the summer of 2009 when Sofia went on hiatus from the troupe to give birth to her first child. Delice and Sarah joined in the late summer of 2013. Maral and Sofia had come to Toronto's Arabesque Academy to take ATS with Valizan, and had performed together as Tribe Aramina (ARAbesque and yasMINA as in Master bellydance teacher Yasmina Ramzy, who runs Arabesque) in a student gala when they were invited to perform at the first-ever Tribally Yours Tribal bellydance workshop in Montreal. After that appearance, the trio decided they'd like to work together again, as a more permanent troupe. The bonding process continued when the trio discovered they are all artists in disciplines other than dance. Maral is a professional illustrator, costumer and makes jewelry, Sofia is a filmmaker, Karina is an author and makes jewelry, Delice is a jeweller and Sarah is a writer and jeweller. Valizan is a cartoonist and writer. Valizan based the name "Shades Of Araby" from California bellydancer Anaheed's "Perfumes Of Araby", which in turn came from a Shakespeare play. 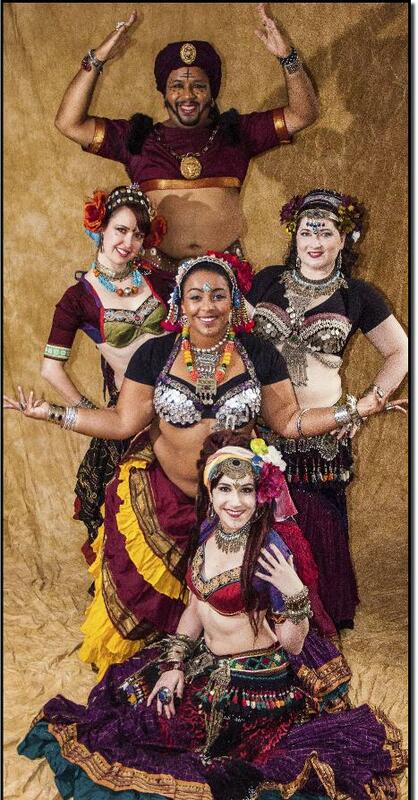 Shades Of Araby circa 2013: Valizan, Karina, Delice, Sarah and Maral. Tribal Fest Offenburg, Germany, Tribal:Pura Milwaukee, Shimmy For A Cure in Erie, Pa, Tribalcon in Atlanta, GA and on the Main Stage at The International Bellydance Conference Of Canada in Toronto, in addition to numerous gigs in Southern Ontario. For more information, visit Shades Of Araby's website.